An umbrella company that has created a top-class portfolio of hotel brands, Deutsche Hospitality combines tradition and the future in one, and dares to do something new. Here, RLI sits down with company CEO Thomas Willms to discuss the collection of brands and to find out what the future holds. Back in 1930, Albert Steigenberger took over the Hotel Europäischer Hof in Baden-Baden, laying the foundation for a sensational success story which is still continuing today. The portfolio of Deutsche Hospitality currently consists of almost 150 hotels on three continents including about 30 hotel openings in the pipeline. The focus for the company is on international locations and openings are planned, amongst others in Dubai, Egypt, Oman, Thailand and Germany. ‘On top of this, we are very proud to welcome the Scandinavian brand Zleep Hotels as a new family member of Deutsche Hospitality,” says Thomas Willms, company CEO. “For the first time we are entering the Scandinavian market with our brands and expanding Zleep Hotels within Central Europe.’ The past year has been an excellent one for the hospitality group, with its Steigenberger Hotels and Resorts and IntercityHotel brands showing strong growth, with the latter expanding in the Middle East. 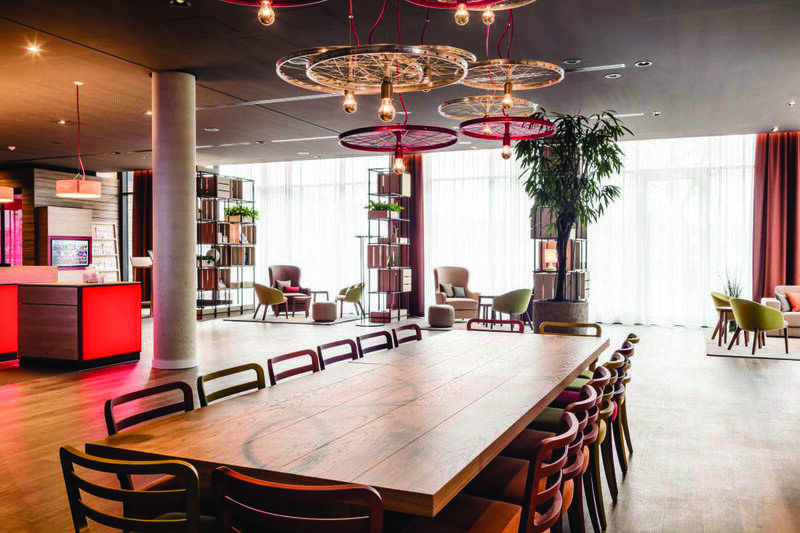 In March last year conversion brand MAXX by Steigenberger was announced and some months later the first MAXX hotel was launched, while two Jaz in the City hotels were opened in Amsterdam and Stuttgart. 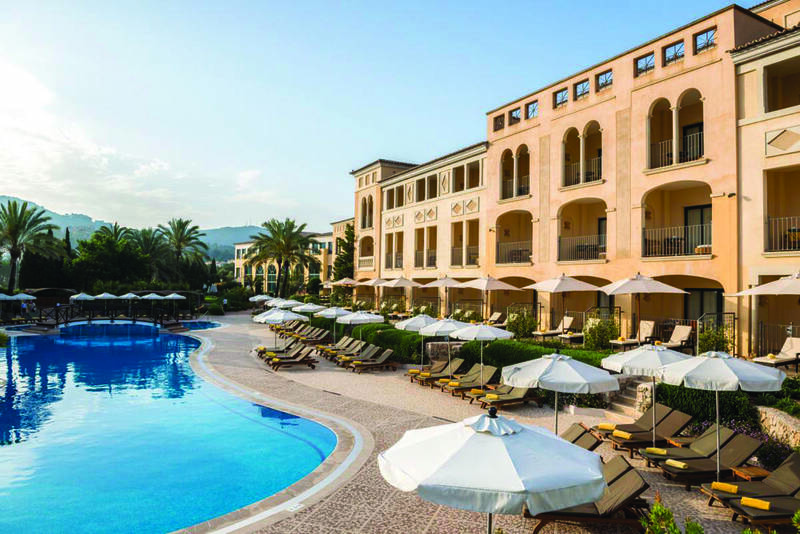 In the coming months the company will open the Steigenberger Hotel El Lessan Ras el Bar and the Steigenberger Resort Achti in Egypt, the IntercityHotel Jaddaf Waterfront in Dubai, an IntercityHotel in Hildesheim and Saarbrücken in Germany and another one in Nizwa, Oman. Deutsche Hospitality ensure their properties remain unique and innovative by constantly looking at the market, and comprehensively analysing it to identify future potential and find what locations best fit the umbrella brands they operate. Willms feels that guests remain loyal to the brand because they get a consistently good product and the same service quality at every location. The company invests heavily in renovations and innovations in order to stay up-to-date and to offer an overall guest experience that meets the needs of its clients. In 2019 this means significant reinvestment in some of its most iconic Steigenberger Hotels as well as investing a multi-million dollar budget in Zleep Hotels to speed up its development. Currently the global hotel market is characterised by growth, growth in new hotels, location, products and brands according to Willms, who says that the group need to continuously focus on the needs of the travelers and the new trends to create environments that fulfill the needs of its guests. So what does Willms feel is the key driver behind the success that the brand has enjoyed? “That is our associates and their outstanding commitment shown on a daily basis as they work to ensure the satisfaction of our guests and give them the wow factor. It is our associates who breathe life into our corporate structure and communicate it externally as brand ambassadors,” he explains. The biggest challenge facing Deutsche Hospitality is in the human resources arena and the ongoing war for the right talent and people. The company is always thinking of new ways to go the extra mile when it comes to investing in the development of its people for the coming years. In addition, the increase in land and construction costs will continue to make it difficult for the group to find the right property for a reasonable purchase or lease price. Steigenberger and IntercityHotel are two of the most known and most trusted brands in Germany. Coming from a tradition of serving its guests for over eighty years the company works every day to be the best host and brand ambassadors to its guests and customers. “For me personally, who has been in business for over thirty years, I am proud to say that we at Deutsche Hospitality love our business and breathe hospitality every day,” Willms concludes.